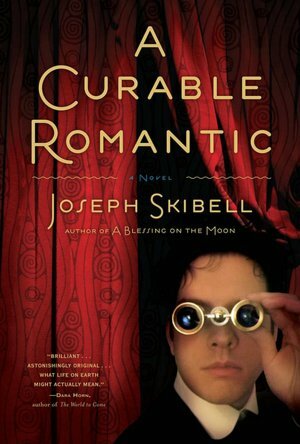 A Curable Romantic by Joseph Skibell is such a rare gem! The word play and witticisms make this a laugh-out-loud read. I got an ARC from BEA two years ago and I can't believe that I'm only getting around to reading it now. It's about a young, socially awkward doctor, Sammelsohn, who meets Sigmund Freud in 19th-century Austria. He falls in love with one of Freud's patients, but that's only the beginning. It also weaves Sammelsohn's three failed marriages into the narrative, in a manner that reminds me of Jeffrey Eugenides' MIDDLESEX. The flashbacks are hilarious and beautifully integrated, and they just make the text so much richer, that I couldn't help but make the comparison. Anyway, perhaps it's good that I waited to read this until now, because I also watched A DANGEROUS METHOD, so it's pretty timely. Guess I'm on a Freud kick at the moment. If you like quirky, witty literary fiction, you will definitely love this! Five stars. I've heard of Joseph Skibell before. Will definitely check this out!